Inner London's only public golf course is to close — largely thanks to a £4.9m grant from the Lottery Heritage Fund which, in a bitter twist of irony, will pay towards the destruction of a century-old piece of the capital's sporting heritage. Lewisham Council took the decision this week to remodel Beckenham Place Park, the borough’s largest public open space, into someone’s idea of what it might have looked like in the 18th century, including creating a new lake. 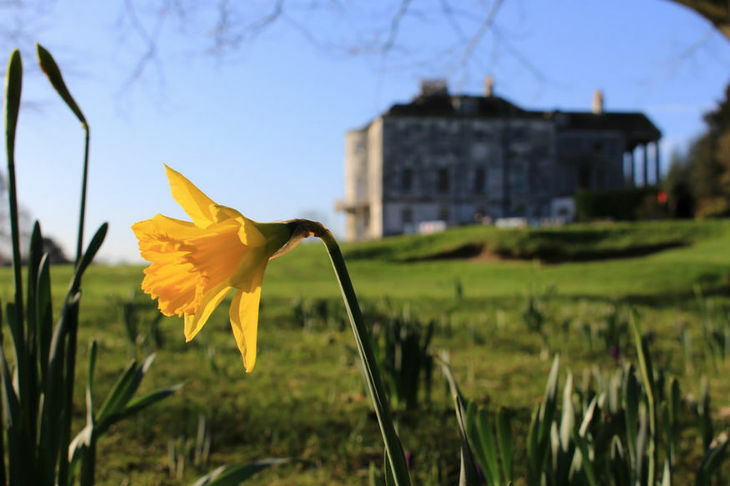 But to do so, the council has decided that the 18-hole golf course, built into the parkland in 1907 and open to the public since 1934, has to go, despite it being used by at least 20,000 golfers each year. Most courses are owned by private golf clubs where membership and green fees run into thousands of pounds: the nearest club to Beckenham Place Park, Sundridge Park a mile away in Bromley, charges £4,200 in joining fees and subscriptions in a member’s first year. But there is a lesser rate if you don’t want to play at weekends. A one-off round, as a lucky guest of a Sundridge Park member, will 'only' set you back around £70, and possibly the cost of some not-very-becoming golf slacks. Private golf clubs, with their strict etiquette and club house rules, can be off-putting for the uninitiated. 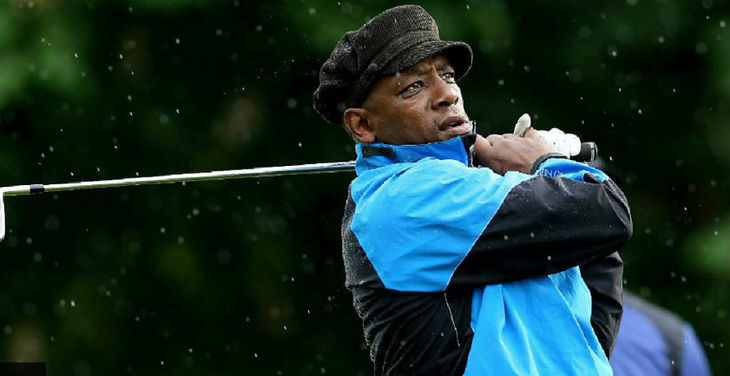 Ian Wright, the former England and Arsenal footballer, played his first golf at Beckenham Place Park. "I didn’t want to rock up at one of these plush clubs," he told the BBC this week. Beckenham Place Park is the only place in in inner London to play the ancient game without the need to spend hundreds of pounds on an expensive set of clubs, or be surrounded by characters straight from a PG Wodehouse novel, and where you don't need to know what your handicap is or how to use a mashie niblick*. Public courses are different from golf clubs: often council-owned, they are the perfect introduction to the game for the young and impecunious. At Beckenham Place Park, you can hire a set of clubs for the day and pay less than £20 for your 18-hole round in this glorious hidden gem of south east London. 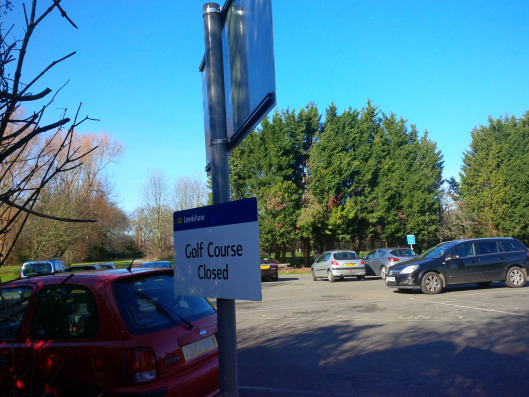 Lewisham Council claims the golf course is under-used and is costing the rate-payers £130,000 in maintenance, saying "the council subsidises each round of golf by about £8". In the 1990s, when about 50,000 rounds of golf were played there each year, Beckenham Place Park was famous as the busiest public golf course in London. Even the council admits, "the course was profitable as the players’ fees more than covered the fixed costs of maintaining the course". Since then, under Lewisham’s ownership, the condition of the course and its facilities have been allowed to deteriorate, and so visitor numbers have declined. Apparently buying into the out-dated Jeeves and Wooster image of golf, the Labour-controlled council reckons that the course puts off other park-users, too. "Visitors’ impressions of the park tend to be dominated by golf and people using the park for other reasons can feel excluded or pushed to the margins." Local campaigners dispute the council’s figures. They point to the £400,000-plus income from green fees and the contractors who operate the course for the council having recently taken on a one-year extension. "They wouldn’t do that if they weren’t making money," one campaign member said. After getting nearly 6,000 signatures on a petition to save the golf course, the campaigners claim that Lewisham’s consultation findings are based on the views of fewer than 70 objectors. 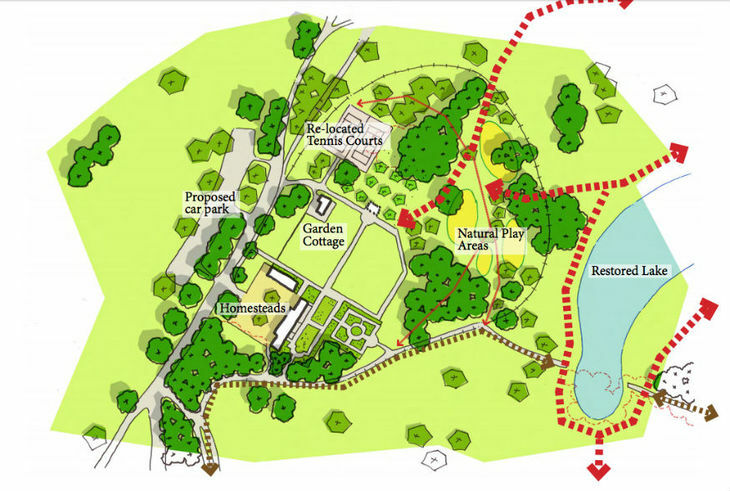 Image from Beckenham Place Park HLF Application. Indeed, the council’s main reason for closure seems to reflect poorly on… Lewisham Council. "The park remains little-known among the wider community," Lewisham states on its own website. Quite rightly, they want more locals to make the most of Beckenham Place Park’s 98 hectares, its ancient woodland, meadows and Ravensbourne River which flows through it. The park makes up part of the Green Chain Walk and the regional Capital Ring. 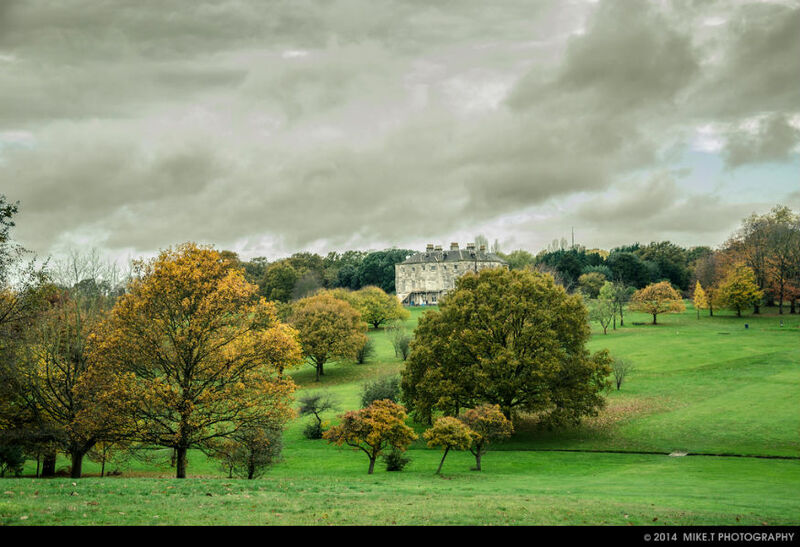 The Friends of Beckenham Place Park group describe the park as "a well-kept secret" and note that "it is not widely publicised" — something which you might expect that its current day owners, Lewisham Council, ought to be responsible for. The Save Beckenham 18 campaign group points to a number of glaring inconsistencies within Lewisham’s 'masterplan', which they have to put to the Heritage Lottery Fund for final approval of the grant. Lewisham says it wants to enhance the wildlife habitat, yet plans include the destruction of several woodland areas. Lewisham says it wants to open up the park to more cyclists and runners, perhaps staging a weekly ParkRun. But people ride their mountain bikes in the park already, and in the days when the park was under the GLC’s management, it often staged demanding cross-country races around the golf course’s fairways. And for all the council’s plans to restore the park’s 'heritage', none of the Lottery funding is ear-marked for much-needed work on the dilapidated Grade II-listed mansion house, which forms the centrepiece of the parkland and has provided a very impressive clubhouse for the golf course since it was laid out in 1907. The campaigners state that there is nothing incompatible in having a public golf course with many of the ideas put forward to make the park better used. But their three-year battle — which even included putting up a Save the Golf Course candidate in last year’s General Election, appears to be close to a sad end. "The 18th century landscape was designed for the easy lifestyle of the rich," said David Hansom, the local golfer who lost his deposit in Lewisham West and Penge last May. "The only time the park has enjoyed any public access has been since the laying out of the golf course. This is the historic public landscape of the park." Carol Hope, who has done much of the work to lead the campaign group, despite not playing golf herself, said "The application to the Heritage Lottery Fund to improve the park has been designed around getting rid of the golf course and was supported by flawed data to make the case for under-use of the golf course. "It is possible for the council to achieve nearly everything they want in the park using the HLF grant money with the golf course in place." But now it looks as if Hansom and Hope’s last chance to save a piece of south London’s sporting heritage is for a change of mind over the grant from the Heritage Lottery Fund. *Mashie niblick: an obsolete term for an obsolete golf club, the short-shafted 7-iron which hasn’t been in common usage since around the time that James Bond holed that putt against Goldfinger at Stoke Park. Mary Poppins 2: What Can We Expect?